A night of enervating and modern jazz in the Avantgarde State! Things To Sounds are Tobias Meier (sax), Yves Theiler (keys) and David Meier (drums). 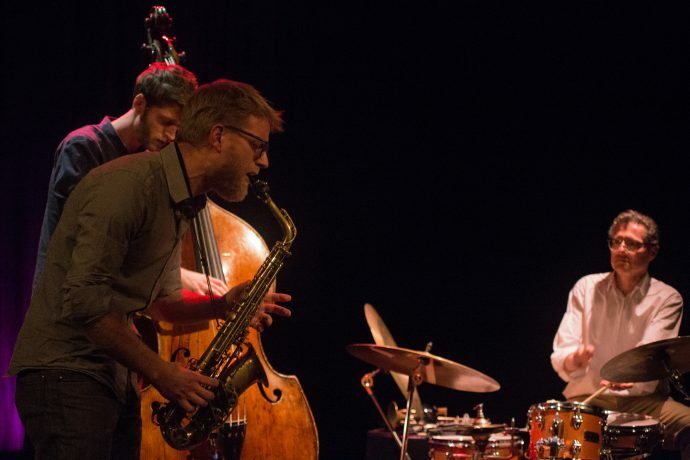 With three long players already under the belt, the trio have a reputation for trying to continually capture the moment in a live setting. Their latest LP, ‘3’ is an unaltered 42-minute live-recording, full of tension from start to finish. Highly energetic and dense textures stand next to carefully placed filigree actions. Not to be missed. 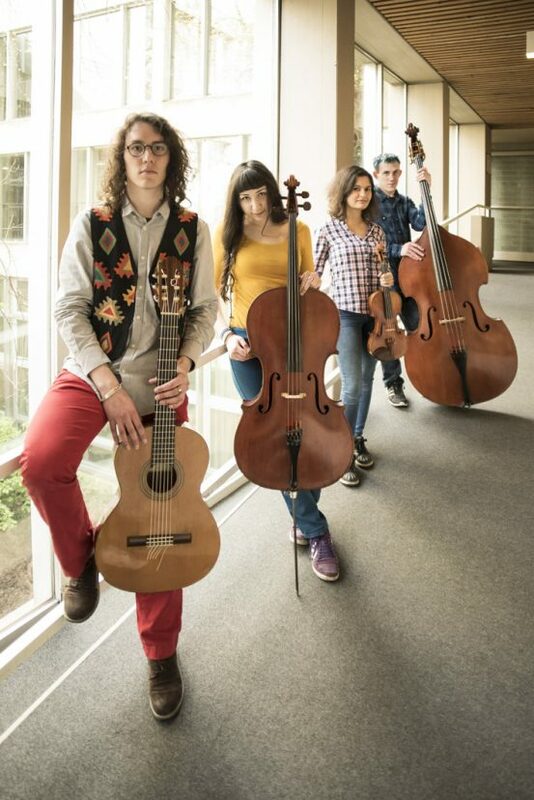 The Hodiernal Quartet is a non-traditional string quartet comprised of Orestis Willemen (guitars), Belemir Baran (violin), Ege Atalay (cello), and Cody Takács (electric and double basses). Founded in 2017 and based in The Hague, the quartet performs works written by living composers, as well as original compositions of their own. Expect 5 pieces: ‘Rubato’ by Jukka Tiensuu, ‘3/8’ by David Azaglo, ‘Staircase Will’ by Lise Morrison, ‘Liminal Luminosity’ by Paolo Griffin and ‘Tread on the Trail’ by Terry Riley.